The Jakkur Lake in Bangalore is in the north-eastern part of the city. Today, it is one of the largest and cleanest water bodies in the city. This would not have been possible without the initiative taken by the people who took keen interest in developing it into a beautiful and scenic place. This 160 acre lake allows for limited fishing activities and is frequented by various birds. 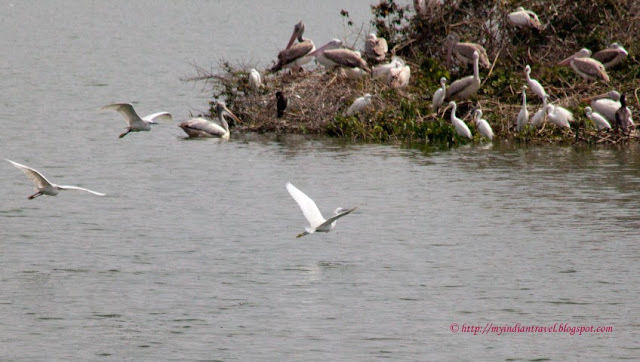 Among other birds the pelicans and painted stork throng this lake as they come here for nesting. As a result this park has now become paradise for bird watchers. Wow! What a wonderful place to watch birds with so many of them. Great shots. Have a lovely weekend. A beautiful bird sanctuary ! Hope you'll come link up at http://image-in-ing.blogspot.com/2015/08/strange-visitors-in-garden.html, which is this week's Wordless Wednesday (on Tuesday) photo linky party! Such a pretty place - it's great to have wildlife sanctuaries like this. I love to watch our birds! Have a lovely week. Wonderful! So nature rewards those who take care of her. 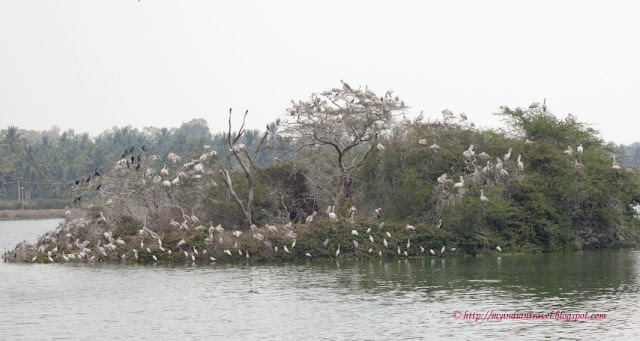 I am extremely happy that the initiative might help preserve this lake...and allow the birds to live among us. Wonderful birding lake! Love those flocks on that little island! Very Beautiful and Natural place to visit !! I live close to this place and it has always been great to visit for a quiet relaxing time.